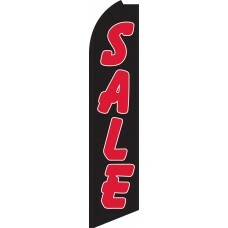 Our Swooper Feather Flags have many striking design options which feature the message, "Sale," so you can coordinate by color or theme. 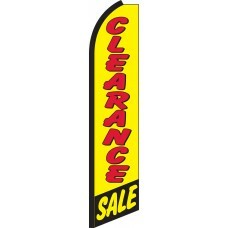 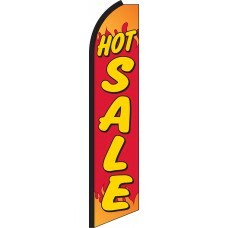 The colorful flags ripple in the wind and are sure to get the attention of potential customers looking for a big sale. 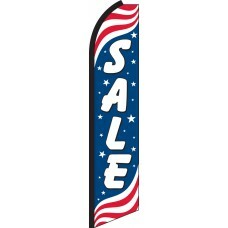 The motion of the flags is ideal to generate enthusiasm. 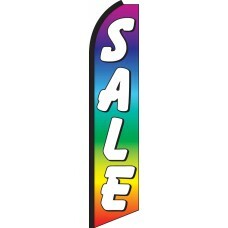 We sell thousands of Sale Feather Flags each year to companies across many industries. We find that our customers reorder these flags year after year because they simply work. 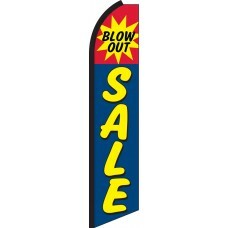 Displaying a Sale Feather Flag captures the attention of price-conscious consumers who are looking for a deal. In today's competitive marketplace, you must not only offer competitive pricing, but also make sure your customers are aware of your great pricing. 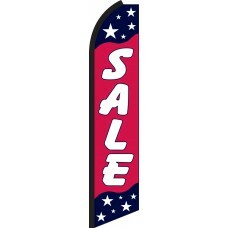 Sale Swooper Flags are an effective way to communicate this message to existing and potential customers. 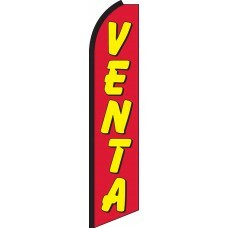 Earning business in our competitive economy is a difficult process. This is precisely why it is so important to focus on communicating your pricing and competitive advantages to your potential buyers with attractive promotions. 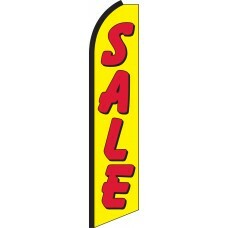 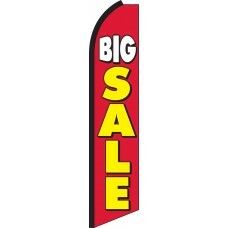 Our Sale Feather Flags are an extremely economical and effective way to reach these buyers. 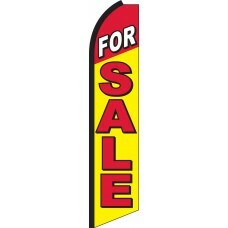 We reccomend using several flags across the front line of your business to draw maximum attention!